SedonaEye.com columnist Eddie Maddock tackles Sedona affordability. Sedona AZ – Among Sedona’s ongoing controversies and linked with lack of affordable housing, to rise or not to rise remains near the top of the list – if not THE number one hot topic. While Sedona is special in many ways, a shortage of workforce housing to accommodate local employees is not unique. Frequent articles relating to the subject have appeared in the Arizona Republic, most recently “Phoenix Trades Incentives for Affordable Housing” (2/17/19) that outlines similar concerns as well as proposed remedies. Extending incentives to developers, such as a tax break to those willing to offer a percentage of their new apartment units at a reduced rate is, but one example. Over the years Sedona has likewise attempted to acknowledge the need for more affordable housing as was the case with Nepenthe and other projects. Development Agreements also included stipulations requiring a certain number of lower cost units to be provided for employees. However, whether or not those contingencies were subsequently enforced remains questionable. At any rate, fast-forward to today. 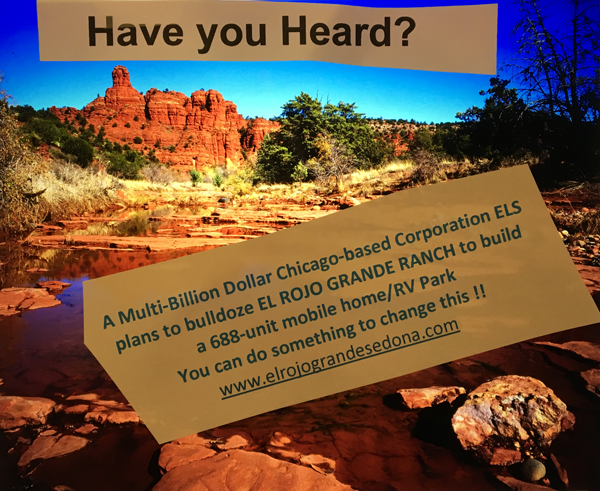 During the recent process relating to a request for rezoning of the 700 acre parcel outside Sedona City Limits, El Rojo Grande, for the purpose of questionable high density development, the Sedona City Council along with Yavapai County Supervisors and the public in general took kindred positions to successfully oppose rezoning of that property for such an intrusive project. And, let us not forget about the somewhat vast acreage the City of Sedona still owns in conjunction with the Wastewater Treatment Plant for which, on more than one occasion, mixed-use and lower cost housing has been under discussion but never seriously pursued. Yet now, at this time, with Sedona’s intense traffic congestion realistically without any viable solution, no matter how this Sunset and Shelby multi-unit housing proposal is viewed, no amount of spinning can and or will dispute that increased density will intensify traffic gridlock even more. 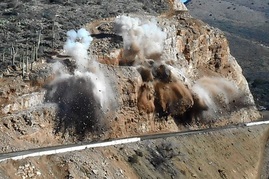 ADOT blasting of red rock mountain to make way for I-17 road widening. It remains almost certain defense for a 3 or 4 story complex will be met with justification because of its more low profile location with the extensive setback from SR89 – perhaps a somewhat valid argument. However, it also poses questions: Would these same city council members have voted to approve existing establishments to exceed two or three or four stories such as Wyndham Sedona, Courtyard by Marriott, Sedona Springs Resort, Sedona Real Inn & Suites, and even our own City Hall for that matter? If that had occurred, views of Sedona’s red rock would have been forever obstructed as actually has already been the case even with the Basha’s center and other shopping centers. Only the few remaining who lived in Sedona back then would be able to attest to that. And, really, should it be ignored, if approved, this, with valid certainty, will set a precedent for future construction? Wasn’t a primary reason, in fact, for Sedona to incorporate and become a city to avoid the increasingly dense development presently in progress? Where will all the remaining red rocks go? To parking lots and highways and tourists going and gone. Have demographics and attitudes of Sedona residents changed so drastically with the times – as is being evidenced by variances and development standards for the short supply of remaining privately owned property available? Judging from Sedona’s sluggish voting participation and subsequent results as evidenced by the outcome of the last Sedona City Election surely that must be the case. Therefore – onward and upward – literally! Don’t be fooled. The chamber customarily gets headlines in the local rag as the great benefactors. Well just keep in mind funding they “give” to the USFS and others realistically is from Sedona city coffers. And why, you ask, doesn’t the city allocate the funding themselves? Good question! And further, don’t forget about the assets the C of C has amassed courtesy of City of Sedona. (Purchase of property on Jordan Road with city revenue but Chamber has title to it is one.) How can this be legal? Good question. Ask our city attorney who is paid big bucks to cover heads and tails?? @Troll Tina Lee, citizens forgot they have the power ! 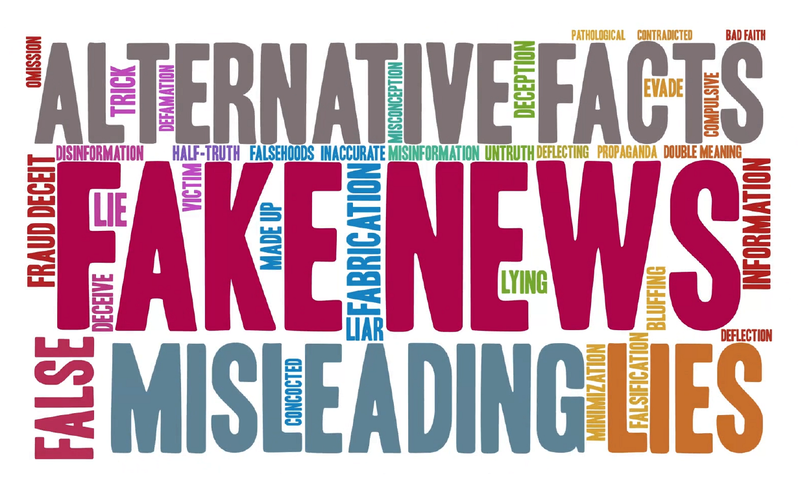 Citizens need to boycott the Red Rock Fake News, Boycott the Library, Boycott the Chamber and make sure you let your city council know we are on to the scam. Especially let Mayor Sandy know your are sick of the City Council giving a grant to the Wine Fest which she owns. Sandy can say she abstains from the vote, we all know how that works. In her weekly “Chamber News” column in today’s RRN, Jennifer Wesselhoff speciously claims that tourism is keeping a City property tax nonexistent. This is total BS. The City of Sedona has never put a City property tax on the ballot. No way will voters go for one IMO. Jennifer’s says keeping our taxes low is “what a balanced approach is all about.” More bulls***..The Chamber is receiving 55% of City of Sedona public taxpayer bed tax revenues for a slush fund annually. Approximately, $1.5 Million a year. Ongoing: The Office of the AZ AG is investigating the relationship between the City and the Sedona Chamber. The City’s bed tax ordinance could violate the AZ Constitution’s “Gift Clause,” Article 9, Section 7. In addition, the City’s Tourism Promotion & Visitor Services Agreement with the Chamber could violate the “Gift Clause” due to a lack of adequate consideration given to the City. Onto another subject: I wonder how much the Lodging Council billed the Chamber for the free shuttle Steve Segner provided to the Sedona Mountain Bike Festival. Beaucoup public taxpayer bed tax bucks? By the way, thanks to Ollie M. Greer readers were informed of bike repair stations in an earlier post. In checking this out, I learned the Sedona Chamber of Commerce is installing 6 bike repair stations in the City. Each station is equipped with a bike hanger, heavy-duty bike pump and air kit, and commonly used tools for bike maintenance.The stations are free to use. Maybe there’ll be thievery problems? The bike repair station sponsors are Biermann Construction; Enchantment Resort; Over the Edge Sedona; Red Agave Resort. The same as beauty, sight blight is in the eye of the beholder. Those who may find looking at curbside garbage bins offensive might, on the other hand, have no objection to considering high-rise structures in Sedona. Really? Which, seriously, is more offensive to our natural surroundings? If that Jennifer Wesslehoff did her research she would quickly find out Sedona would NEVER have been incorporated without city property tax being OFF the table. Of course that was then and this is now. Because of what Sedona has become and the results of the most recent election maybe it’s possible residents would love to see their property tax include a good chunk to the City. More for the Chamber of Commerce?? Don’t need to wonder , you could’ve just asked me, hotels. Paid 3000+ dollars hotels chipped in to help with the traffic and it worked it just goes to show we just need to spend more money on public transportation. I didn’t know about the bike workstations, great idea the more people we can put on bikes and out of their cars and the better it is for all of us, Sedona is turning into a great walking town I didn’t just happen by itself. Such funny stuff being posted by SS. He needs to practice what he preaches. Ride his bike to work from Thompson Road up the canyon to work at the y. When ALL the Hotel owners, Staff and employees do that I will. What makes him think that the average Sedonan can physically ride their bikes in rain, snow, 100 degrees weather? How and the heck are they gonna groceries back home on a bike? Image a 70 year old riding their bike through the Y to get their groceries. If you think you have a traffic problems now image everyone on the 179 side of Y and those in uptown ALL riding their bikes through the Y. How many medical emergencies would we get? The Office of the AZ AG is investigating the City of Sedona and the Chamber of Commerce for possible violations of the “Gift Clause,” Article 9, Section 7 of the AZ Constitution. Should be a no-brainer. However, considering the values those in control have placed on an incompetent special interest-members-only association (regional chamber of commerce) there’s little doubt “they” would select high-rise structures as being the less intrusive. Shame on Sedona registered voters for allowing this to happen. So ya think maybe that’s the reason the regional Chamber of Commerce located in Sedona purchased that property on Jordan Road? With a portion of the several million $$$$ they’ve received from “the city” but minus “the city” being on the deed? Only with a maybe-might-could be forthcoming unofficial commitment to transfer ownership to “the city” in five years or some cockamamie BS voodoo verbiage that somehow made the transaction legal? Hmmm – gets more intriguing from moment to moment. But also becomes more intricately associated with questions of impropriety and off-the-wall negotiations (to put it politely). Five years from the date of the property transaction chances are slim to none that “the city” still has anyone remaining who even recalls such a deal – and – VOILA! Regional chamber of commerce located within the Sedona City Limits has clear sailing with a dandy valuable asset to their benefit. And just who is it should be “gifting” City of Sedona with enrichment?? Hmmm – what’s wrong with this picture? The regional of Chamber competes with TAX PAYING businesses, “stealing” gigs by a gift. The whole system of (deleted by editor) hurt our economy. Favors free items and in my opinion “payoffs” via the chamber and those they represent is destroying our communities. The No bid contract was a scheme thought of by lodging chamber industry. Simple raise the bed tax and kick 55% to US. Read the law. The city agreed to have put into it that the city HAD to OUT SOURCE destination marketing couldn’t be internal department use. The fradudental scheme (IMO) didn’t allow any bids, no vote from those businesses the tax was imposed on,allow a private club 55% of city bed tax revenue without any checks or balances. Dumbing down Sedona as it only benefits chamber,their business and WHO they pay. So YES folks it is complete BS. They seem to imo pay big money to buy support and votes.Chamber is a private business association, membership based. NOT a city chamber. MEMBERS should pay their own bills. Stand up and make change. Close your eyes and do nothing it will get worse. Back to subject. Does anyone even care that in the very near future incorporated Sedona will be exposed to probably a 4-story building? It’s already happening in the VOC. All it will take is for one high-rise structure to become reality and what little is left of once beautiful Sedona will be devoured big time. If people really care they will object before the fact. Afterwards will be too late. Write to your city council members – NOW! Marilyn, So you think it is a bad idea for people to bring in their trash container after it has been picked up ? Marilyn,You think it is OK for a full trash container to sit on the curb/street for a full week? Marilyn,You think trash should not be picked up around the trash container if it is over flowing? Marilyn , All HOA require trash containers to be pulled back from the street the day of pick up and you think this is a bad idea? Marilyn ,You think it was wrong for the city to look at its issue? I don’t understand why you people are so obsessed with fault finding. My family and I are all enjoying our spring break in Tahiti and writing it off as tourist promotion. You know spring break in Sedona is too crowded, geez. So what’s your beef… So they talked about something and decided it wasnt worthwhile…. You and your cohort(s) gonna gripe about endlessly now. @steve Segner of course I think it’s a good and proper thing for people to be diligent about their trash containers. Maybe I just happen to be lucky to live in a subdivision (without an HOA I might add) where neighbors actually DO care about one another and are willing to do favors for each other such as seeing to it their garbage/trash receptacle is appropriately removed from the street after pickup should they happen to be out of town. However, I find it surprising and actually somewhat appalling the city council found it necessary to spend so much time on an issue that should be a no brainer. As I recall it was only a couple of council members who had maybe one or two complaints, not a huge deal in the overall scheme of things. I also stand by my observation it was finally Mayor Sandy who nipped the ongoing droning in the bud and called for the resolution to drop it, for the time being anyhow. And for that she should be congratulated IMO. Be honest, steve Segner. Isn’t your real beef because short-term rentals are legal by state law whether thru BnB or elsewhere? If that were not the case would you really give a damn about whether or not trash cans are removed from the street as soon as the hauler drives away? During that council meeting wasn’t it insinuated the problem was essentially created by BnB occupants? Tell the truth Segner – you can’t stand the competition. You can’t pull the Governor’s strings like you do city council? What good is it to be a multi millionaire in AZ then? Didn’t you flee California taxes? Instead of whining about the damn trash barrels sitting by the curb, get off your (deleted by editor) and pull them back yourself. One minute of you being a good Samaritan and Case Solved. (My neighbors and I do it for each other all the time. On vacation? No sweat. Alice pulls them in. Phil goes away for weekend, puts out trash night before, Judi pulls it back if she sees it out next day. I pull my neighbors trash out of their garage when they go away before trash day and put their cans away. Glad you don’t live in my hood (deleted by editor).) You and city council people are (deleted by editor). @Fred S. Administrative authority is allowed for up to four stories. Anything beyond four stories requires approval from the City Council. Councilor Currivan noted for the record that he was opposed. This degradation of Sedona came as a result of the February 13th Council meeting concerning the revised draft Community Focus Area (CFA) Plan for the Sunset/Live Work CFA. BTW, the Mayor said any number of stories was okay with her. It seems you and your other alter egos are the ones spending what must be hours checking out comments on SedonaEye. 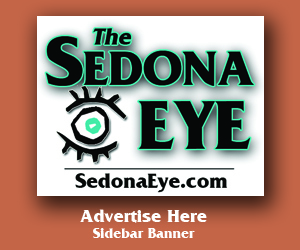 With so many criticisms how about placing an ad on Sedona Eye – put your money where your mouth dictates? My guess is you must be on the receiving end from Chamber/Lodging/City to be so dedicated to defending the alleged virtues you so loyally portray. Nice try, loser! Go fer it! You must be one ugly person inside and out. Keep in mind there was just a discussion not a done deal. Of course, Currivan was opposed, he’s opposed to everything except if it means special treatment for Son Silver West which he was very supportive. Currivan supported that illegal business in our neighborhood – YES – remember that well – also his wife who spoke in favor of the illegal Son Silver West because she admitted they were friends. He (Currivan) might rightfully have recused himself and not taken a position on the issue and sustained respectability from those who supported and voted for him. Oh well all things considered, maybe he’s still the lesser of the evils? About that Son Silver West business. Sure they received a conditional use permit for the original house, previously an art gallery, zoned for “cottage industry.” Sedona community development director at the time gave an inch and they took a mile. Example of how things grow out of proportion. That dog and pony show is in residential zoning and many of us do not like it!! Allow a multi storied structure and the trend will be set. Wake up Sedona residents. For God’s sake WAKE UP. Your apathy reeks. Karen can approve up to four stories, and the City Council can approve anything beyond four stories, traffic be damned. This is a degradation of City ordinances and the Community Plan voters approved. Super that the Mayor said any number of stories was okay with her. California closed several trails and parks to tourists this year. Consider it. Try giving your beautiful land a chance to breathe and heal. Love you Sedona. I’m so excited about the record traffic happening during the current Spring Break! Our hotel and tourist businesses are collecting record tax revenue that helps keep Sedona residents taxes low ! Sedona is now truly a tourist town as our professional City Manager (name deleted by editor) has stated. Our professional assistant City Manager and Community Development (name deleted by editor) who is also a dear friend of mine is uniquely qualified to make height decisions. 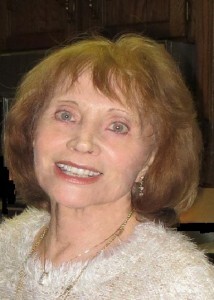 After all, she lives outside of Sedona in an area limited to two story development. Sedona, you ain’t seen nothing yet ! What? Of course the council unanimously agreed and amended the code to reflect the administrative waiver would remain intact with a one-year sunset clause. And guess what? That one year sunset never came to pass. Yes, folks, the public’s concern regarding granting administrative waiver to the planning staff as a gateway opening to abuse isn’t new to Sedona. The initial proposition was for a one year sunset date. And that was in 1994. By reneging on the stipulation to revisit the issue after one year betrayed Sedona residents a long time ago. Therefore why wouldn’t we have just reason to question staff discretion to approve multi-story structures without public approval? EVEN WITH EXTREME PUBLIC OPPOSITION ADMINISTRATIVE WAIVERS ONCE IN PLACE WERE NEVER REVISITED. FACT: The public was duped. That would never happen with the honest watchdog Sedona Red Rock News !! I meant the Soy Boy’s of the Red Rock Fake News who could never imagine the City or Chamber of Commerce doing anything wrong. That’s what happens when a (deleted by editor) inherit the running of a local newspaper. Fortunately, we can boycott the (deleted by editor) and put them out of business. See how they do? And government and those elected wonder why we don’t trust them. They all make promises when they run for office but how quickly they forget. Too often they vote on how THEY feel which also frequently does NOT represent those who voted for them. Had they listened to the public outcry, Administrative Waivers would NEVER have been accepted. The beginning but not the end of Sedona’s ruination = INCORPORATION! Gregg says: Too often they vote on how THEY feel which also frequently does NOT represent those who voted for them. Yes, that is their job, they go the the meeting they look at all in facts, then they vote for what they think is bust for the community, not necessary what some community want. It is call a representative democracy. The intention of this form of government is to educate and train representatives to better understand the complexity of their jurisdiction.Gregg, Says, ruination = “INCORPORATION!” Just get over it ,you are living in the past, every new council and do as it pleases because things CHANGE. and change is good. Example, Forest road connection is good for the commons ( the people) perhaps not for the home owners. but they knew that is was private land next to the end of Forest rd. and now they may have a through street. Change happens. Excuse me but is there anyone out there who will be so kind as to translate interpret WTF @Steve Segner wrote?????? Wow what is being smoked in uptown Sedona these days? Thought it was passe??? @Steve Segner “Gregg says: Too often they vote on how THEY feel which also frequently does NOT represent those who voted for them. For sure they are “busting” a community but they in fact were elected to vote for what the voters within Sedona City Limits want and NOT what “they” think is “bust” (although that’s what’s happened to Sedona – broken – busted – but not beyond repair if new blood takes over and fixes things). Your reference to the extension of Forest Road fails to address how the heck the city can extend a road that ends where the terrain drops off – like in PLOP! Will anything short of mini-switchbacks work? And at what cost? Get real Segner. Your motor-mouth and written rants rarely make sense and that city council listens to you is even worse IMO. “Bust” is right. Unfortunately as a residential town, Sedona is busted. It’s a Tourist trap also, so as a tourist experience, it’s a “bust” also. Keep in mind that sewering Sedona was one of the driving forces behind incorporation. ADEQ had ruled that Oak Creek was polluted by Uptown, and word was that nothing could be done about a wastewater treatment plant until the city was incorporated. I’ve heard that at the time the wastewater treatment plant was approved by the voters, they were told a portion of the city sales tax revenue would be used to pay for the plant. Item 8.b. on next Tuesday’s (March 26th) City Council Agenda: Discussion/possible direction regarding the wastewater rate study, financial plan and cost of service analysis from Willdan Financial Services. Willdan is recommending a water usage-based rate structure for the ??? percent of us on the sewer. Reportedly, the consultants will present their findings and recommendations during next Tuesday’s City Council meeting. City staff, among other things, recommends a reduction of General Fund sales tax subsidies to the Wastewater Fund, debt financing for larger projects, and changing the City code to grant staff authority to waive wastewater fees. As to probable fee waivers, this is an area for corruption IMO. City Hall is overrun with cronies and vested interests. April 23, 2019: Council Adoption of Notice of Intent to Increase Rates/Set Public Hearing Date (at least 60 days later). THE TRUTH???? Truth is without a central sewer system there wouldn’t have been any NEW construction. Period – end of report. THE PROOF??? Lies in the FACT that ALL EXISTING development to this day hasn’t been connected to the SEWER(wastewater treatment plant, its PC term) and probably never will be. Fine w/us b/c our septic system works just fine and we don’t WANT to be on the SEWER. EVERY TIME CAPACITY IS INCREASED its allocated to NEW development. Call it what it is! BS IMO. A super con job! Residents threatened their properties would be condemned without access to sewer connection! Crock of crap to residents and constant gift to developers!! City coffers win with impact fees and dying or moving residents properties sales. See how it works??? like Segner keeps saying. The big city pitch for a slight increase in sales tax many, many eons ago was it would go exclusively for creating the sewer treatment plant. They lied then and my question is. . Have they ever stopped? The only commitment they honor is the millions they give to the Chamber of Commerce allegedly for destination marketing. And just where did the C of C acquire the kind of money it takes to expand their operation uptown and open the office in West Sedona? And pay for all the additional employees they’ve hired since their obviously grand but mysterious windfall? And recently the huge amount ($100,000 plus?) they gave to the USFS for trail maintenance? Not to mention purchase of the property they now own (the chamber) on Jordan Road – prime commercial titled to the C of C – NOT City of Sedona? Comedy of errors? Ha but who’s laughing? Those on the take?? How do you do it Steve S? Yes I’ve noticed that as well…. One comment by Steve leads to 5 by that lady. It reminds me of that experiment about Pavlo’s Dogs. Wazza mattah @Tina Lee baby? Truth as it exists hurts? Jess keep on countin’ dem pennies from Sedona residents as dey continue to raise sales tax. Shopping outside city limits is becoming the not-so-best kept secret among those who know. Leave it to the tourists to pay their fair share as they clog the highways. Great job that chamber did to bring in the “destination” crowd. Wha hoppen??? I have heard that the CoC has a coffee chat once a month that is open to all. Perhaps it would be a good idea for those of you who post under multiple names to attend. Maybe then you’ll get your questions answered. @@Comedy of Errors – what a thrill – an invite to attend a chamber of commerce coffee chat? And why is that? They are NOT elected by the people and they are NOT a branch of government, ANY government! And they only represent their members. Oooooh but maybe we might have the chance of a lifetime to meet – say – Tina Lee, etal? Nah-nada-nope thanks anyways. A lethal dose of Hemlock sounds more appealing than sipping coffee with a group who, in our opinions, have been the ruination of Sedona @@Comedy of Errors. All one need do is attempt to enter either State Highway in order to by essentials (like as in food) and the damage from that lousy Chamber is evident. It isn’t bad enough that every year we already have tons of day-tripping lookie-loos invade our neighborhoods during staggered spring breaks. But the City of Sedona giving one cent to a membership club for whatever reason is beyond disgusting. That would be like getting your questions answered at a City Council Meeting. Jennifer Weiselhoff showed up at an opposition campaign meeting. She was hiding near the back dressed in her gym clothes and when asked a question she did not know the answer. If she cant tell you how many members of the SEDONA chamber of commerce are located in Sedona , it’s all downhill form there. But you do get a free cup of coffee from the $2.5 Million cut the chamber gets from the bed tax, which should go to re-mediate tourist impacts. I’m sure you will hear all about “sustainable” tourism. Not sustainable for the residents of course, but Jennifer is “Excited” about it ! That’s great info about the meeting. Thank you. Not sure “(they..she) wants her questions answered. Then she’d have to find a new hobby.. Funny stuff. “Pavlo’s Dogs.”? Is he a recent immigrant from south of the border? Not so bright are you? It’s Pavlov’s Dogs, dummy. But then again as you are not too bright you believe everything the chamber tells you . (deleted by editor) ego crap.